After several long months of development, programming, and a great deal of testing dAMP 4.0 is finally here. This latest version introduces several new features along with simplified settings/options in the control panel. The first one is the Dolphin cron automatically runs at start up now, and it will automatically stop at close. For those of you that prefer to manually start and stop the cron you can set this in the dAMP Settings page/screen. 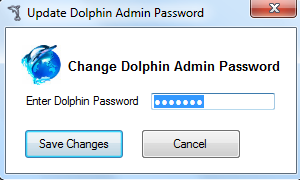 The next new feature is you can change the Dolphin Admin Password in the settings page. 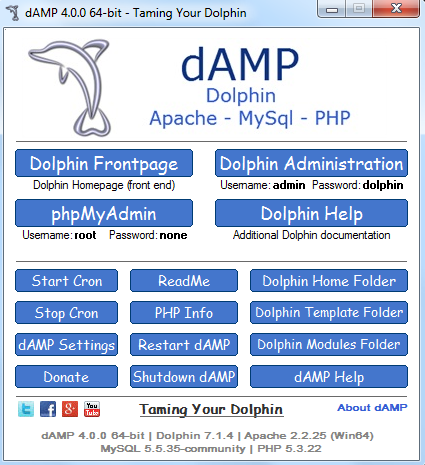 After you enter a new password and save the changes, dAMP will restart and the new password will also be updated in the main control panel screen under the Dolphin Administration button. 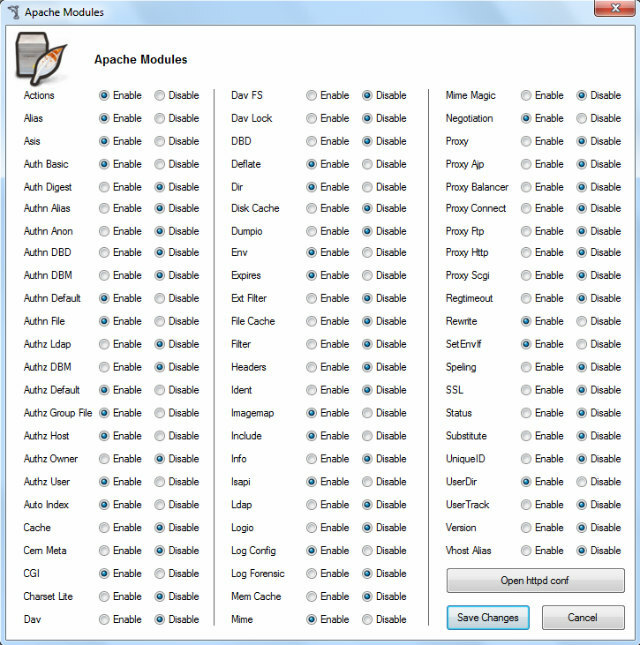 You can now enable/disable various Apache Modules with a simple click of your mouse. You shouldn't need to change any of these because everything is configured to run Dolphin already. However, this is a handy feature for those of you that want more control. Make sure you know what they are for before making changes. 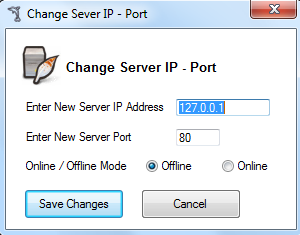 You now have the option of changing the Server IP Address, the Server Port, and Online/Offline mode. For example, if for some reason you need to change port 80 (default) to port 81, 82, or 8080 you can do so right in the settings page. 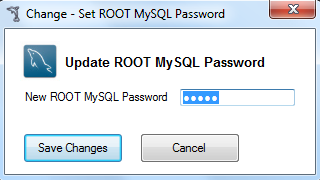 The next new feature allows you to change the MySQL root password. 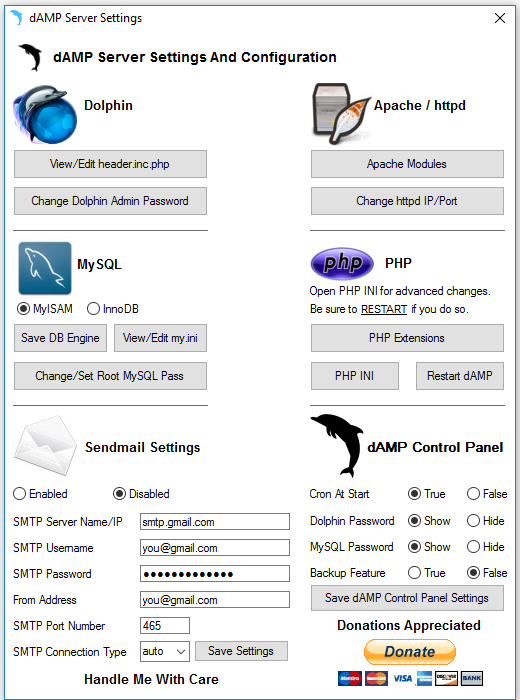 If you would like to add a root password or change one this will automatically update MySQL and Dolphin. 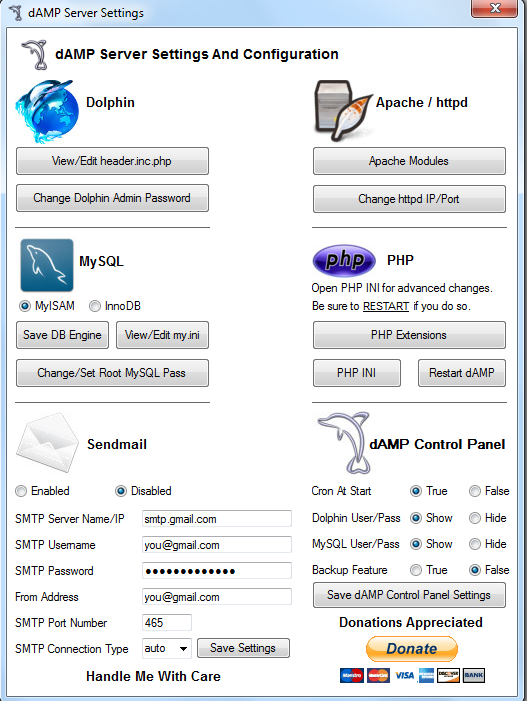 The new password will also be reflected in the main dAMP control panel under the phpMyAdmin button. There is also a new PHP Extension feature similar to the Apache Modules that will allow you to enable/disable PHP Extensions with a few clicks of your mouse. You will also be able to change Memory Limit, Max Execution Time, Max Input Time, Max File Size, and Post Max Size. You will now find a section in the settings area on the bottom right called dAMP Control Panel. 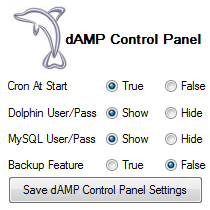 Here, you can set the Dolphin cron to automatically start (default) or change it to manual (false). 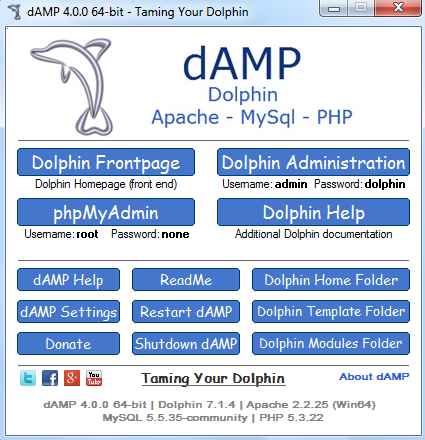 The Dolphin user/pass setting will show (default) the Dolphin Administration password under the Dolphin Administration button in the main dAMP control panel screen. If you change it to hide the password will be starred out (******). There is now a Backup Feature you can enable. It is turned off by default. Turning it on will automatically backup files such as: header.inc.php, httpd.conf, my.ini, and php.ini before changes are applied to these files in areas such as: View/Edit header.inc.php, Apache Modules, Change httpd IP/Port, Save DB Engine, PHP Extensions, etc. If backups are enabled (True) dAMP will also ask you if you want to make a backup before opening httpd.conf, my.ini, or php.ini. Backups are automatically deleted if they are 60 days old or older when you click on the dAMP Settings button. The settings page area now spells dAMP from top left to bottom right. d for the Dolphin section. A for Apache/httpd section. M for the MySQL section, and P for the PHP section. 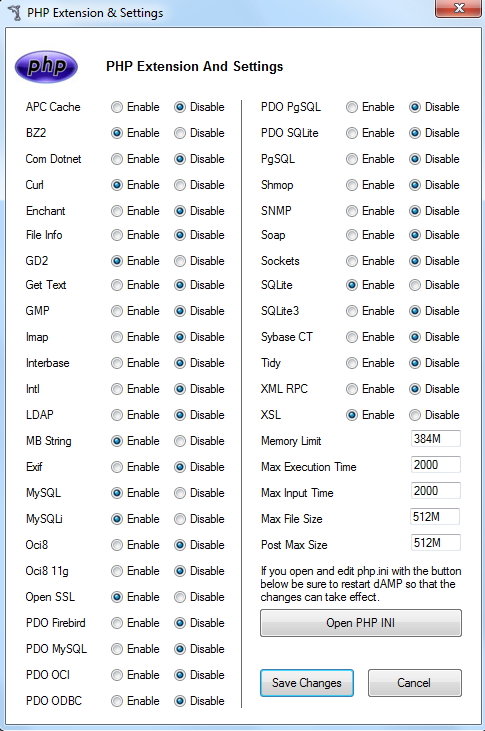 MySQL was also updated to 5.5.35, and phpMyAdmin to 4.0.10. After this release, I will be taking a break because this was a lot of work. I don't plan specific new release dates, but the next one will likely include performance and optimization enhancements. Just scroll down to the version 4.0 section, and choose either 32-bit or 64-bit. Thanks for your continued support and enjoy!